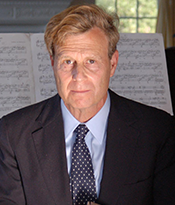 Mark Helprin is a Senior Fellow of the Claremont Institute and writes the regular "Parthian Shot" column for the Claremont Review of Books. His novels include Winter's Tale, A Soldier of the Great War, and Freddy and Fredericka. Helprin's writing has appeared in The New Yorker for two decades. He has written on politics and aesthetics for The Atlantic Monthly, The New Criterion, National Review, The American Heritage, The Wall Street Journal (of which he is a contributing editor), The New York Times, and many other publications here and abroad. A Fellow of the American Academy in Rome and a former Guggenheim Fellow, Helprin has been awarded the National Jewish Book Award and the Prix de Rome. Raised on the Hudson and in the British West Indies, Helprin holds degrees from Harvard College and Harvard's Graduate School of Arts and Sciences, and did postgraduate work at the University of Oxford. He served in the British Merchant Navy, the Israeli infantry, and the Israeli Air Force.